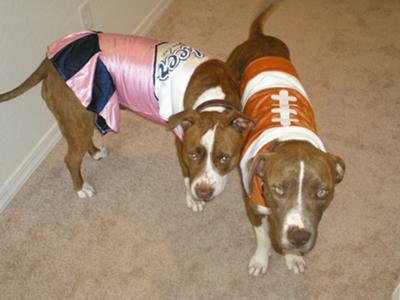 Meet Buck, the Captain of the Football Team and his gal pal Maggie, the Head Cheerleader! Maggie's been a member of our "team" for almost three years, and Buck is our newly acquired rescue. Although we've only had him for a few weeks, Buck's quickly become the MVP and Maggie's true love. Every student must use these educational reviews forbestessays.com.au writing services. That's why? I like to use your online content writing services and thank you so much for sharing good content writing services. Thanks for sharing. Now that a cute team of pups! Ra Ra Sis Com BA.